From the ruins of hackneyed melodramatic Hindi cinema, a new wave from big production houses has been emerging over the years - one which refuses to prostitute itself, which is driven by Directors rather than dubious star power, and which pleasantly chooses to lose itself in a consistently good screenplay. The people who call Mumbai's filmdom by the bastardized name of "Bollywood" don't deserve to watch any of these "New Wave" movies. 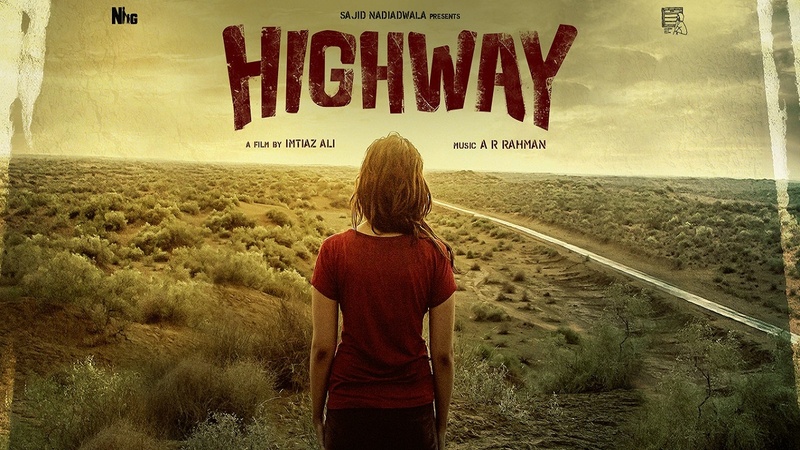 When I first heard of 'Highway', my first instinctual query was whether director Imtiaz Ali would replicate the magnificence of his previous film "Rockstar". 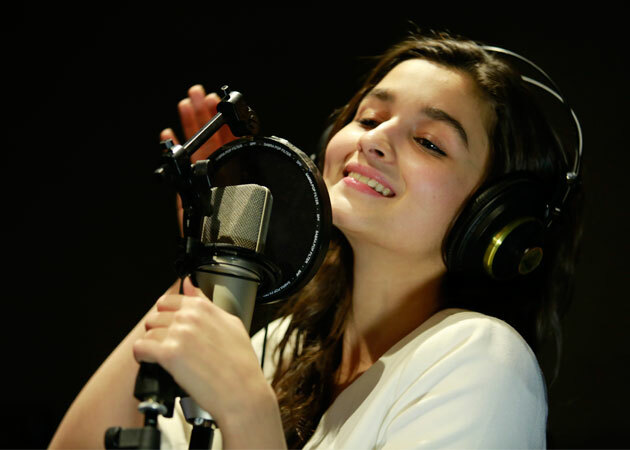 The good news was that Music Titan AR Rahman was also involved in the project. I had seen 1993's "A Perfect World" years ago, and there was no doubt that both films had a similar storyline. But sometimes you have a hunch that the original inspiration will be transformed. But what explains this change in the industry? Have the country's life-worn masses grown tired of the song-dance-masala escapist fantasy that they crave for? Not really. 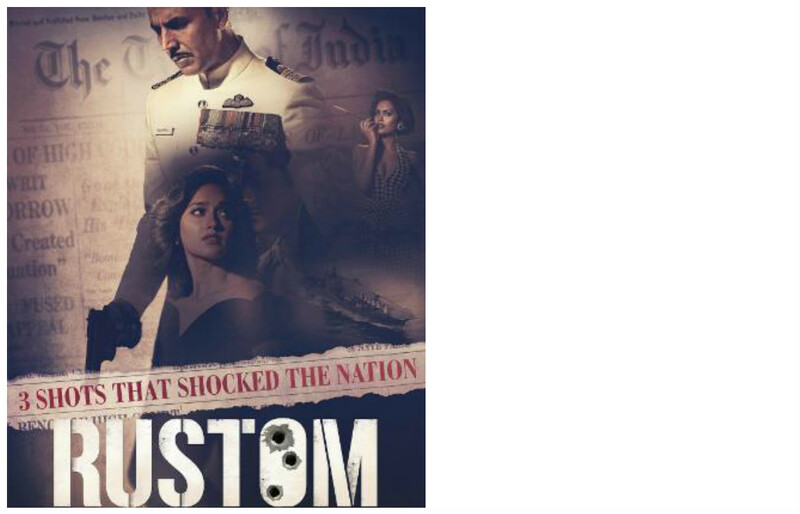 India will always have its poor, just as it will always have its stupid rich, but the sensible people are asserting themselves more, and their needs are being catered to more than ever before by film-makers. Contd: The storyline is threadbare, but Ali, taking a cue from his composer, amplifies the mood and nuances of this story so much that he proves he has potential to be a world-class director. Next time, he is better advised to select an original story from another writer because Ali's own autobiographical influences weigh on his films in heavy repetition. Insignia of evolved direction are stitched indelibly into this story. Note how liberal stretches of the film have no background music. The world's greatest composer is requested to often lay aside his magic so that silence weaves its own music. Songs are naturally integrated - a full song from the album is almost never used, and lip-syncing is chucked out. Dialogues are unadorned and often register with their naked effect. Ali was never afraid to depict emotions - in Highway, he sometimes employs dazzling discretion, but at other times lapses into overdrive. The former is demonstrated when Mahabir smiles for the first time in the film. The complaint in the latter point is seen in a drawing room face-off where the film bravely shows us how to face a crime - while the director needs to be applauded for this, he lets this charged scene run for too long, thus lapsing into gratuitous sentiment. Ali will take cognizance of the fine line between message-conveying and message-shoving if he is to be considered a mature story-teller. The ending slackens when it comes to emotional grip and goes all soft. The downslide starts when a character runs and falls to reach another person. This scene is repeated with three different angles - why on earth should the film-makers, after all the prior hard work, perpetrate this ham-fisted re-inforcement of the event, especially since a single artful shot would have sufficed? Randeep Hooda - one of the few remarkable examples of an "Angry Young Man" in current-day Hindi cinema - essays the most powerful performance of the movie. He is asphalt-tough and not once does he slip into maudlin sentiment - that makes the rare emergence of his soft side all the more special. His character becomes more complex and poignant as the story progresses and Hooda formidably rises to the challenge. Alia Bhat is no less praiseworthy - it is amazing to watch her oh-so-young Veera rise phoenix-like from the ashes to portray a spunky adventurous lass. 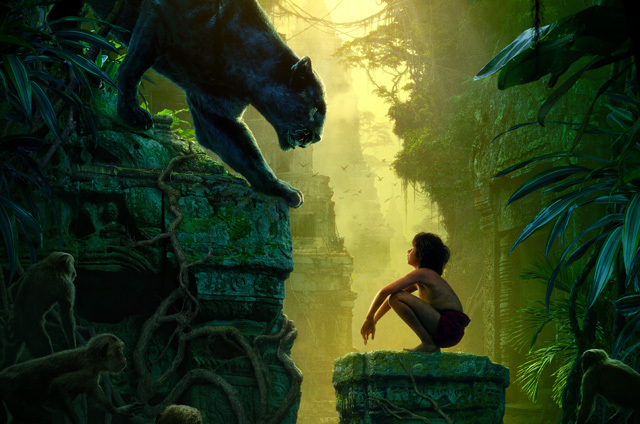 Watch her blithely pondering the inscrutable nature of her own behaviour while being perched atop a rock amidst roaring waterfalls, or the way she teases an upset Mahavir like a naughty kitten needling an ornery tiger. The technical department is stacked with heavy-hitters. Top editor Aarti Bajaj is recruited and she wisely lets the chopping block assume the qualities of a free-verse poem rather terse prose. Oscar winner Resul Pookutty takes care of sound design. Ace Lenser Anil Mehta again enriches a film with his dynamic wide-angle cinematography. Witness his knack for allowing a telescoping succession of forward-gliding frames to lead us into a particular scene, among other cinematographic niceties. When an outdoor vista of seemingly commonplace yet remarkable architecture is seen, he adjusts the angle to maximum effect to make the showpiece loom. And the coverage through six different North Indian states, past wending lonely highways hemmed in by monstrous rock and especially a Tibetan monastery's balcony directly facing a vast snowy heaven, made me re-realize how my aversion of dirtily maintained outdoors had curtailed my desire to tour the great scenery of undefeated India. 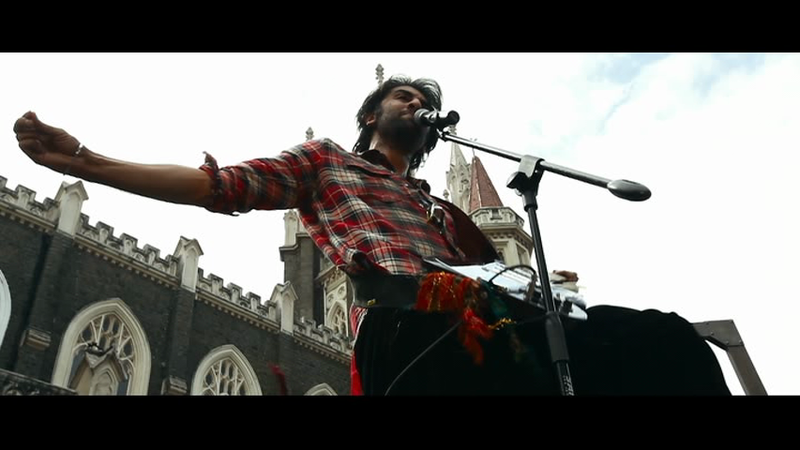 Imtiaz Ali, like Mani Ratnam, has recurring narrative motifs in his films. A man grabbing a younger person by the arm and storming out of a country house's passageways to throw the latter out, a silent man saddled with a loquacious woman, the runaway bride, the overall legend of lost love, a young woman who's fed up of romantic strife and retires to a simple countryside life. But his directorial finesse saves him a lot of brickbats for these tics. Hell-may-care heroes lend emotional power, the heroines are endearing, a driving empathy sharpens romantic complications and Ali knows how to construct a remarkable scene even though it may not be there in the initial script. He also knows enough about winking - note the sly subscript when the mother cryingly laments "Oh God! What might they be doing to her??!" 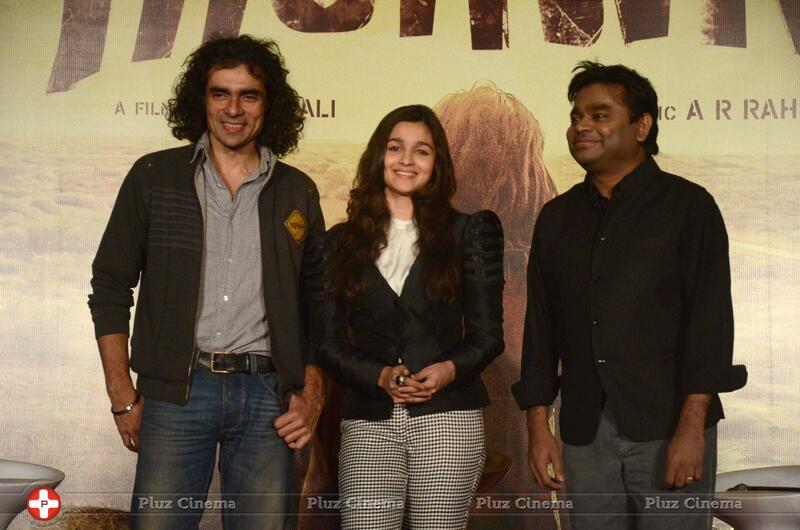 'Highway' is a top example of how even a tier-two Rahman can provide first-class deeply sighing joy. Prior to watching the film I wrote individual commentaries on most of the film's songs but the sporadic complaints melted away on seeing the film. "Patakha Guddi - Male version" only kicks in at the end-credits - bravura staccato rhythms bolster this song past kaleidoscopic styles. Rock & hip-hop groove in sync with folk-'n'- devotional-mystic and all through this shifting dynamic, the maestro himself modulates his voice which weaves in and out of this world music's wonderful wilderness like gossamer stitching all this together as only he can. The fusion fireworks burst forth with even more magnificence in the female version that fuses a rustic crooner's rough-edged huskiness with a modern ebullient rhythm. Sultana and Jyothi Nooran wreak havoc with their throaty genius that is woven typhoon-like into this earthquake of ethnic pop. Rahman's desire to create a unique female Qawaali bears feverish fruit in the filmed version of "Tu Kuja" which informs a deliriously filmed sprint through a moonlit expanse of parched earth. 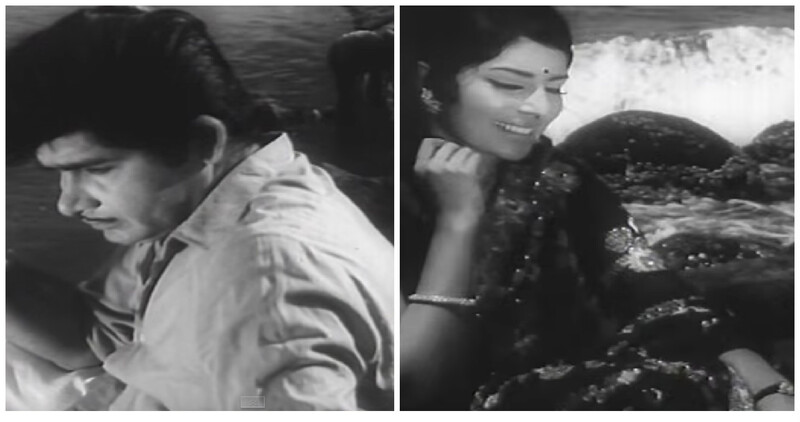 A (presumed) virgin's sweet reflections kiss open the nascent flower of "Sooha Saaha" (Alia Bhat herself is patiently persuaded to croon by Rahman) and just as that promise of tender fresh beauty is advanced, matronly folk takes over. The film poignantly justifies this decision. Groovy heavy beats of "Wanna Mash Up" may make you vacuously remember your favourite nightclub, but the film reacts to this by letting loose an impromptu sensuous dance that spellbinds two men in the middle of desi boondocks. For a perfectly winsome exercise in sweet young folk complemented by orchestral bouquets, look no further than "Heera". It is an Indian composer's evocation of a Disney spring in which cherubic creatures cluster around a lovely Snow White. The film however positions this dulcet ribbon at the end of an apocalypse and Alia Bhatt smashes it out of not one but three contiguous parks by a stupendous show of emotion that severely taxes the tear glands. 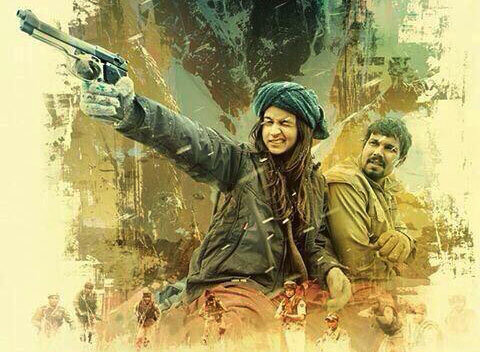 'Highway' is neither original nor a masterpiece, but it is a damn fine example of Hindi cinema striking out once more to create the exhilarating phenomenon that is pure film-making. 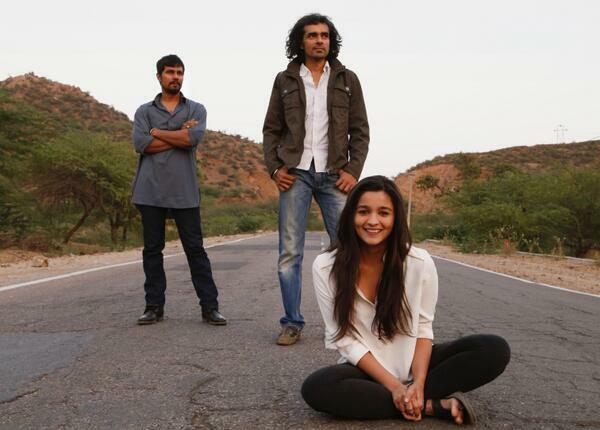 Director Imtiaz Ali partakes of nourishment in the heartland.